Think of yourself as one marble out of many in a clear, full jar at an art supply store. Next to all the other colorful glass, it’s hard to stand out. So how will you make a lasting impression on a customer who may make a quick impulse buy after a brief scan of the jar? 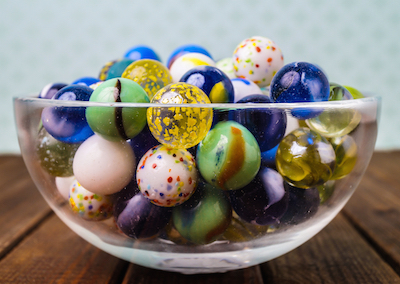 Just like those marbles, your resume may be polished to a fine luster. But so are all the others. To make your finer qualities shine brighter, you’ll need to concentrate on your resume’s format to show the hiring manager your exceptional talents and potential. Focusing on these seven rules for resumes, you’ll learn how to write a good resume. A visually clean resume is a little trickier to pull off than conventional wisdom may have you believe. At a minimum, all resumes should be typewritten, laid out in short justified paragraphs, include headings, and place contact information at the top of the page. But it takes more than those style parameters to pique the interest of a busy recruiter or employer. The most basic resume rule is that anything on your resume that doesn’t focus on your qualifications is extraneous. 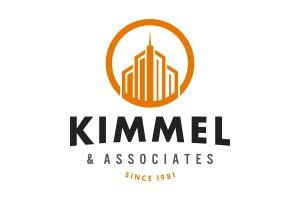 A personal or past company logo? Unnecessary. Your picture? Only conveys subjective impressions about your hair style, clothing, and age. An unconventional line break? Unless it’s a thin straight line, there’s no reason for it. A fancy font? Helvetica is all you need to look clean and business-like. You want the person reviewing your qualifications to spend more time reading about your great qualities and lingering less on design elements. Even for design professionals, such as engineers, graphic artists, or architects, your portfolio, not your resume, is the place to show off your design chops. It may sound logical to lay out your resume like a term paper or an essay with left-justified headings and prose paragraphs describing your latest career moves. But chances are the person reading it will spend about six seconds on your resume simply because it will be among scores of others for one opening. Recruiters are looking for specific information that stands out on the page. Headings should be clear and start with your professional experience. Use straight thin lines to set off your headings, but don’t overuse them. Hired an average of twenty skilled trade workers each quarter and conducted annual job reviews of sixty employees. Oversaw onsite safety program for largest project in company history and logged 655 injury-free days. Today’s resumes can capitalize on technology; you can easily send employers to learn more about you online. At a minimum, you should link to your LinkedIn profile or a professionally designed website that showcases photos, videos, and/or descriptions of your work-related projects. Once there, an interested company can find out more about you than is possible on a paper resume. However, this resume rule of using links should not be a substitute for a well-crafted resume, and they should be used sparingly. Also, make sure you send a potential employer to sites that show your best self in action, so avoid more personal sites, such as Facebook and Twitter. But be aware those sites are still public and should appear as professional as possible. Don’t short-change yourself for the sake of brevity because you are trying to fit everything on a single page. No one wants to read a recipe and feel like there are steps missing or ingredients left out. Your potential employer shouldn’t get the impression that there are blanks in your recent experience if there are none. On the other hand, don’t go long without a reason to do so. Being thorough about your accomplishments shows hiring personnel that you’ve maximized your skills. Nevertheless, be mindful that too much information won’t be read, so be judicious and list ten years of work in your career versus thirty. Your recent work is usually the most relevant. Remember to use active verbs (created, led, managed) instead of passive verbs (was in charge, had a staff, was a manager). If you can, recruit an objective party to proofread your draft. And always remember to spell check. Knowing how to write a good resume is more than the words on the paper. Creating a great resume is hard work, and once you have finished one, that’s when complacency can set in. Don’t let it. Tailor your resume for each job application. No two jobs are alike; therefore no two resumes in your job-search toolbox should be either. Every job description includes key words that an employer uses to find the right candidate. Do your best to include those words or phrases in your resume if they fit your experience and knowledge base. The busy reviewer will see these connections as they flip through the stacks. If the job doesn’t quite match your background, don’t stretch the truth. It’s always better to emphasize the positives. 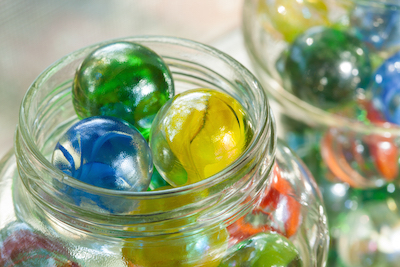 Remember the jar of marbles? You are unique, so shine a light on your uniqueness.